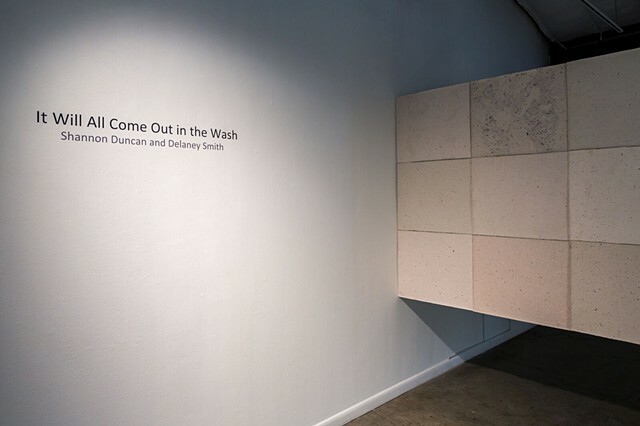 It Will All Come Out in the Wash is a collaborative exhibition by Shannon Duncan and Delaney Smith in conjunction with FotoFest 2016 Biennial, centered around the ritual of transforming or letting go of what is no longer pertinent. 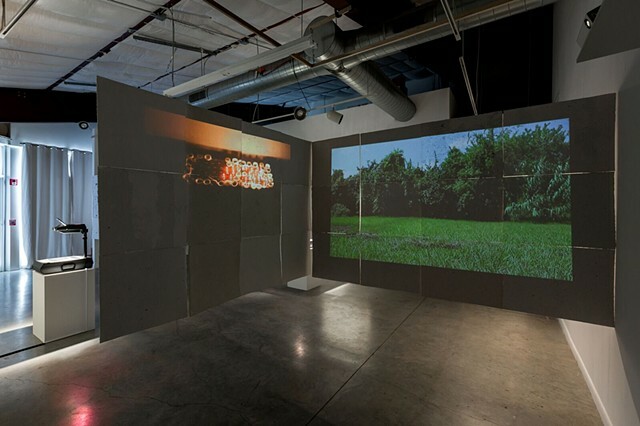 Two video diptychs, projected onto cast paper, explore the practice of shedding what is outgrown in both domestic and public spaces. 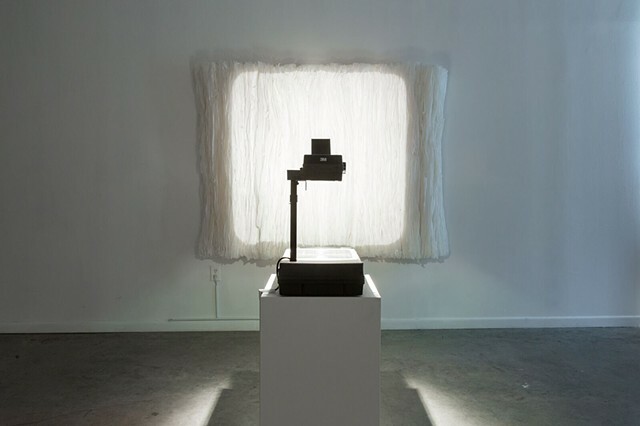 In contrast to the intimate diptychs, overhead projectors and quiet paper sculptures provide visual breathing space. 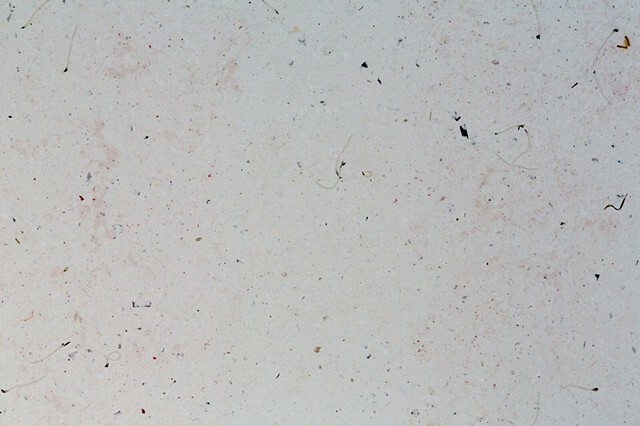 Through this exhibition, the artists merge their individual processes of lens-based media (Duncan) and sculptural paper making (Smith) to create an amalgamation of empty lots, repurposed cotton fibers, embedded zippers, and melted tea candles. Both artists are interested in the act of collecting and the repurposing of material for their independent and collaborative work. While each artist's work is distinct, there is an overlap in the performance of repetitive, process-oriented tasks. 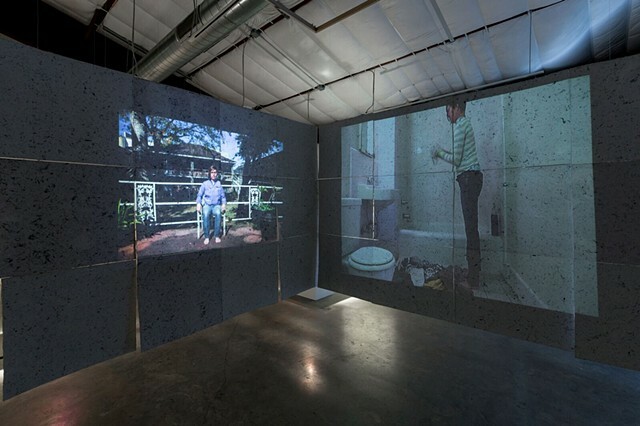 Duncan uses lens-based media to record personal experiences. Once these incidents have been documented, the physical material associated with the process is discarded. 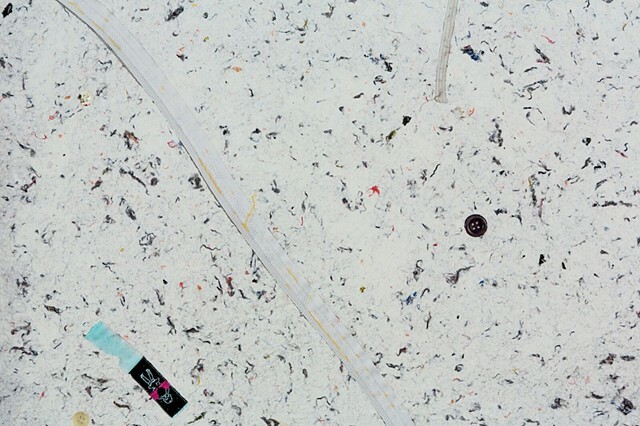 This subjective work catalogs memory while purging objects. 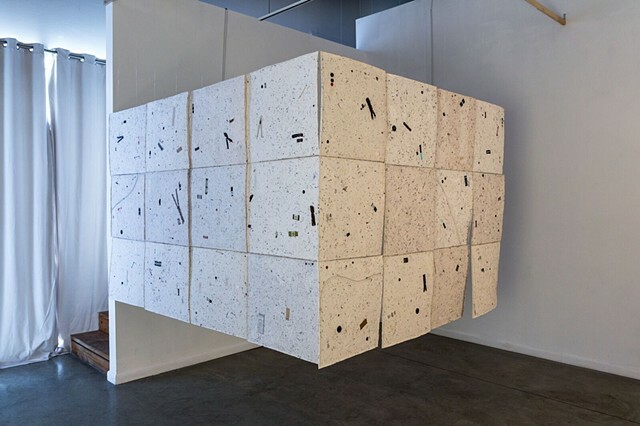 Smith uses an accumulation of materials that have either been found or donated to create a mass of repurposed texture. 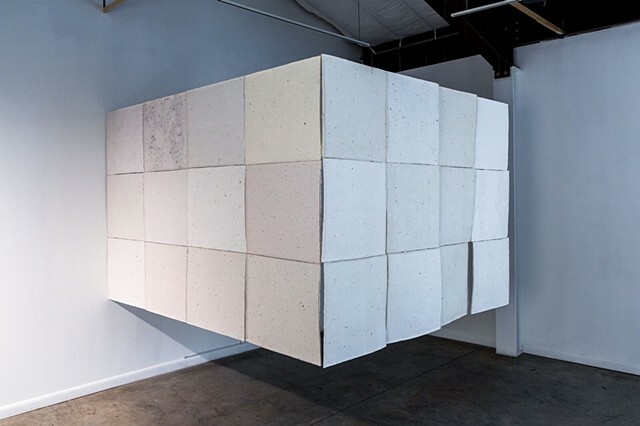 This material is often transformed into a pulp, which is then cast onto various, conceptually relevant surfaces.